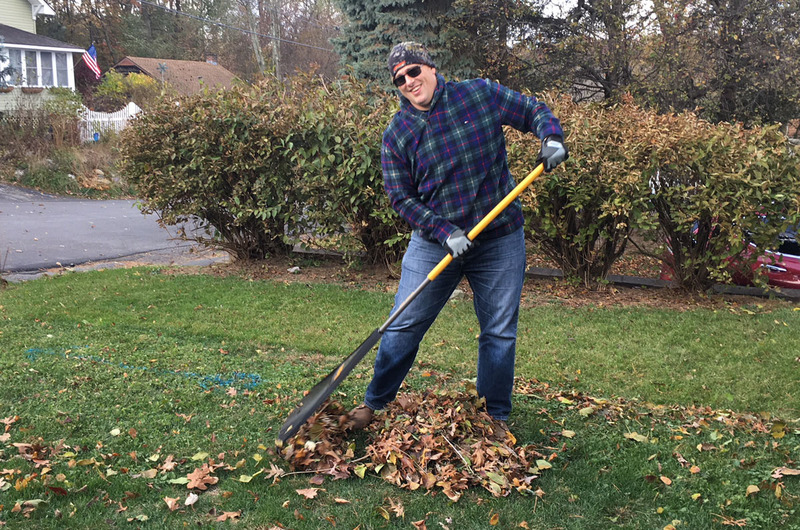 Even though it was a day off for schools on Friday in observance of Veterans Day, a group of teachers from the East Greenbush Teachers Association, their families and Columbia High School students still went to work, raking and bagging leaves to help clean the yards of local veterans. The group, along with Town of East Greenbush employees, filled more than 80 lawn bags from the homes of eight veterans who signed up for the volunteer service in advance. East Greenbush Teachers Association members, their families and Columbia students with Vietnam veteran Ed Pratt. 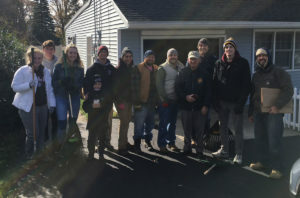 “It was a fantastic team effort with many people clearing several lawns on a very cold and extremely windy morning,” said Columbia Social Studies teacher Daniel Wagner. The EGTA organized the community service with East Greenbush Town Services Coordinator Jessica Lansing. Special thanks to The Home Depot in East Greenbush for donating the lawn bags.